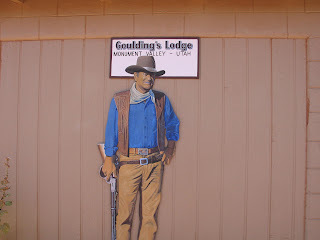 Here's a life size poster of The Duke at the Goulding's Lodge outside of Monument Valley. There is a museum there with lots of John Wayne items, books, posters, and other momentos. Of course, this is one of hubby's FAVORITE places to stop!